A recently launched report shows the city's air quality is worsening due to thermal power plant emissions and the absence of environmental policies. While national attention has been focused on the heavy blanket of smog smothering Delhi, other cities, especially along the Indo-Gangetic plain, have been choking on the same pollution, often experiencing more intense levels of particulate matter in the air than the capital. On December 12, the Centre for Environment and Energy Development (CEED), IndiaSpend and Care4Air launched a report titled Varanasi Chokes to highlight the city’s high pollution levels and also bring attention to cities such as Allahabad. 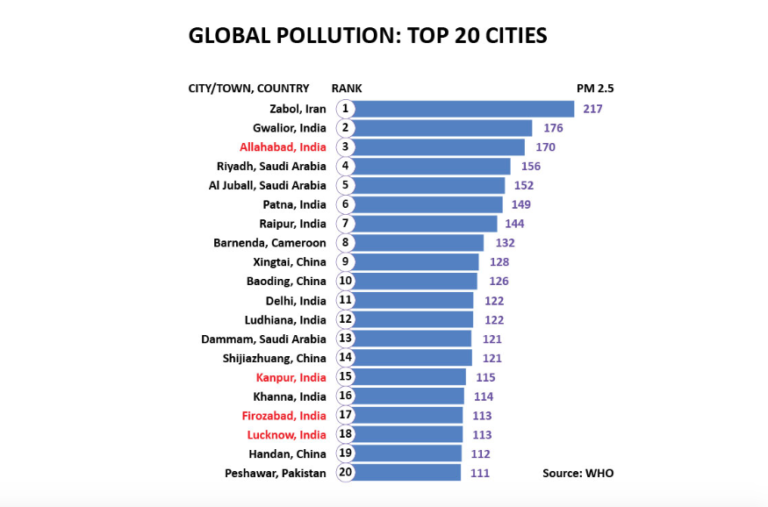 According to data from the Central Pollution Control Board (CPCB) Varanasi and Allahabad both had a grand total of zero good air quality days for the entirety of 2015 and Varanasi is also one of the three most polluted cities in the country. The press release from the event states, “Out of the 227 days of recorded data on air pollution, Varanasi had ‘zero’ good air quality days last year. And out of 263 days, Allahabad had zero good air quality days”. However, in its annual list of the most polluted cities in the world, the WHO did not identify Varanasi despite listing four other Indian cities – New Delhi, Allahabad, Kanpur and Firozabad – based on its data. The report highlighted the impact of coal-powered thermal power plants on Uttar Pradesh’s worsening air quality. The Purvanchal region of the state is home to 11 thermal power plants that produce emissions which are then carried several hundred kilometres due to changing wind patterns in the Indo-Gangetic plains, according to a study conducted by the Delhi-based Urban Emissions group. 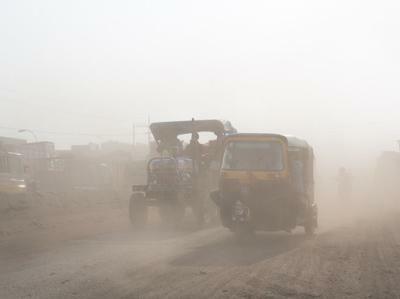 Speaking during a round-table discussion on air pollution in New Delhi, John Walke, from the Natural Resources Defence Council (NRDC) pointed out that the harmful particles in the air don’t just have an impact on the respiratory system but are also known to have cardiovascular effects. Walke also said that PM2.5 has been linked to premature deaths in other countries and is now known to be a carcinogenic substance that can cause lung and bladder cancer. While no concrete action has yet been planned or implemented to improve Varanasi’s air quality, at a recent event held in the city, representatives from various political parties pledged to include the issue in their manifestos for the assembly elections.